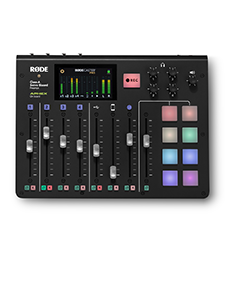 There is literally a RØDE Microphone for every situation, from Studio Recording, to Live Streaming, to Filmmaking, Podcasting and more. It's little surprise then, that you will also see RØDE being used by a diverse cast of content creators, no matter what your favourite platform may be! Here at RØDE we want to shine the spotlight on some of our favourite online stars who are kicking goals, creating great content, and rocking RØDE whilst doing it. In this first episode of RØDE Social Spotlight, we chat to Mark Ellis and Kristian Harloff of the Schmoes Know and Collider Videos YouTube channels. Between both Schmoes Know and Collider, they were the first Youtube movie reviewers to be certified on Rotten Tomatoes, and have become the best online source for movies reviews, breaking news and everything entertainment or pop-culture related. They have also been known to look incredibly sharp in the RØDE Varsity Jackets from time to time. Let's chat to Mark and Kristian! The Schmoes Know crew Wendy Lee, Mark Ellis, Joelle Monqiue and Ken Napzok on set with the RØDE Procaster Microphones. Hey guys, thanks for chatting with us! 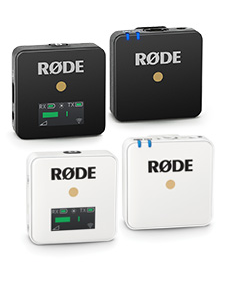 Please introduce yourself to the RØDE audience! We are Mark Ellis and Kristian Harloff of the Schmoes Know And Collider Videos YouTube channels. Where is the Collider studio based? We're based in Los Angeles, CA, although both Kristian and I are originally from the east coast... He's a New Yorker, and I'm from where the tea is sweet and the houses are haunted in Colonial Williamsburg, Virginia. In 10 words or less, how would you describe your online content? Unabashed movie celebration by the handsomest boys and gals in town. The Schmoes looking fresh in the RØDE Varsity Jackets. We love talking about movies the way normal friends will; we laugh, we debate, we crack jokes, and we enjoy each other's company... Even when we disagree. What is the size of your online audience? Between both Collider and Schmoes Know we're at just over 700,000 subscribers on YouTube, and close to 1 million on Facebook. Our iTunes feed features a handful of different shows and can generate well over 100,000 downloads a week. Wow that's a huge audience! What is your current camera/filming/recording rig? We use a varying amount of Canon C100’s for video switched through a TriCaster and of course RØDE Microphones for the best sounding audio around. And the show does always sound amazing! 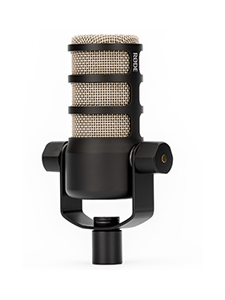 What is your favourite mic in the RØDE range, and why? The ones we utilize currently on the show, the Procasters, are fantastic, and the PSA1 arm extensions make it super easy to navigate our continual revolving door of guests entering and exiting the conversation. What is the coolest or funniest thing that has ever happened on your show? 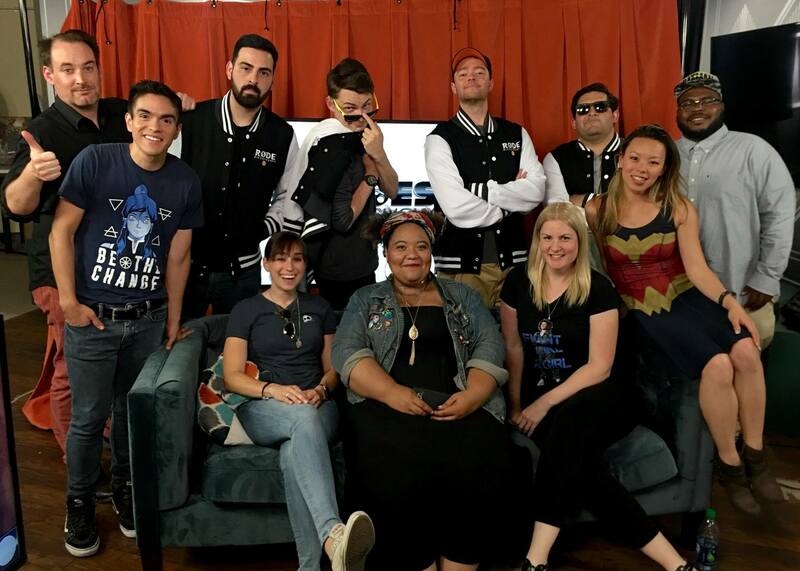 There have been so many great moments, from legendary wrestler Rowdy Roddy Piper pranking our intern Josh, to birthing the trivia sensation the Movie Trivia Schmoedown. But the opportunity to interview Star Wars legend Mark Hamill is right at the top of the list. That is pretty huge! What is your favourite movie of all time and why? Obviously we're both huge Star Wars fans; my favorite Earth-based film is either Jaws or Back 2 The Future. Kristian is a giant fan of Braveheart. Good choices! Being huge Star Wars fans, who do you root for, Jedi or Sith? I root for the good guys & gals, so I'm Jedi all the way. I also appreciate the ewoks for the heroes that they are. Kristian appreciates the strategy and political maneuvering of the Sith. He remains undecided on porgs. 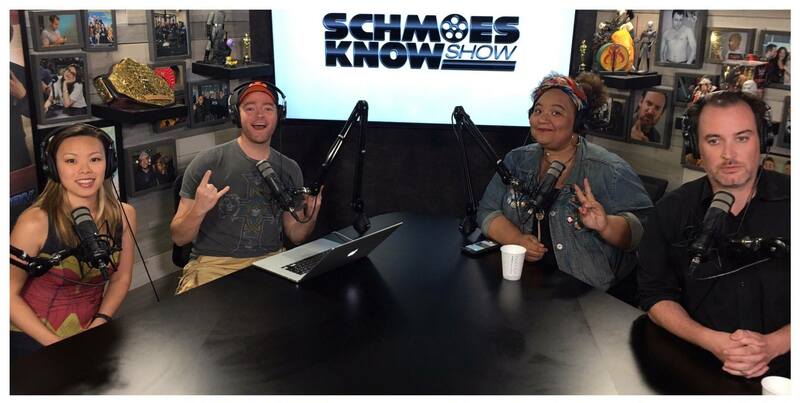 Check out our gorgeous voices on the Schmoes Know iTunes feed, subscribe to our YouTube channel Schmoes Know and find us on Twitter @SchmoesKnow! Until next time on RØDE Social Spotlight!